Operatoonity has moved to a new URL! Operatoonity moved to a new URL! Same great content. Same scintillating host. Just more robust from the back end. If you are looking for a post that used to be here, it’s probably on http://operatoonity.com. Just go there and use the search tool to find the post you wanted. See you at the new URL, everyone!!! Comments Off on Operatoonity has moved to a new URL! Author Interview – Gale Martin + GIVEAWAY! Well, aren’t you a lucky bunch? 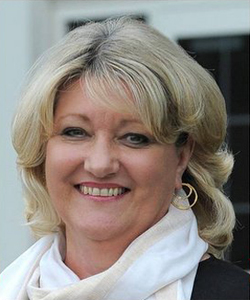 Not only do you get a fab’ review, but now you have an Author Interview with Gale Martin. After reading ‘Who killed Tom Jones?’ I was thrilled Gale accepted my offer for an interview. Welcome, Gale to ‘A Book and Tea’ and thank you for participating with the interview! For those who aren’t familiar with your work, what can they expect from your latest release? You can expect to find quirky or funny characters, one or two mean girls, some unexpected plot twists, witty banter, a dramatic climax, and romantic underpinnings in each of my books. And Who Killed ‘Tom Jones’? incorporates all of those elements, too, but to a different degree than either of the other books. ‘Who Killed Tom Jones?’ is themed around the Welsh stallion. Is it safe to say you’re a big fan of Tom Jones? Comments Off on Author Interview – Gale Martin + GIVEAWAY! 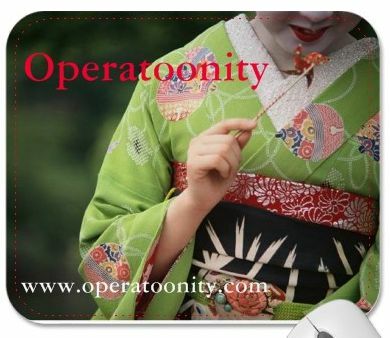 Thank you very much for subscribing to operatoonity.wordpress.com. Please know how much I appreciated your support! I hope you will follow me to http://operatoonity.com and become subscribers there. 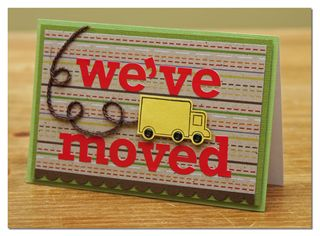 I apologize for the inconvenience and hope you will follow Operatoonity at the new digital address. 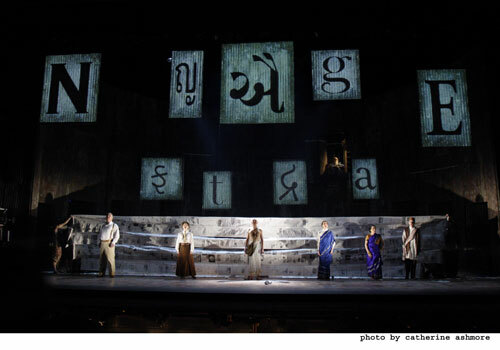 Satyagraha by composer Philip Glass is an opera in three acts for orchestra, chorus, and soloists and will be presented this fall as part of the New York Metropolitan Opera‘s 2011-12 repertory. Commissioned by the City of Rotterdam, Satyagraha is the second in Glass’s trilogy about men who changed the world. The opera is semi-narrative in form and is a moving account of Mahatma Gandhi‘s early years in South Africa and his development of non-violent protest into a political tool, a method that Dr. King would later embrace. “Satyagraha” is a Sanskrit word meaning “truth force,” and the subtext of this opera is, as you may have deduced, politics. Each act is dominated by a single historic figure in a non-singing role who is overlooking the action from above: the Indian poet Ravindranath Tagore in Act I the Russian author Leo Tolstoy in Act II, the American Civil Rights leader Martin Luther King, Jr. in Act III.
. . . you should embrace action for the upholding, the welfare of your own kind. Whatever the noblest does, that too will others do: the standard that he sets all the world will follow. The opera premiered on September 5, 1980, in Rotterdam by the Netherlands Opera and is set to text from the ancient Sanskrit scripture the Bhagavad Gita. 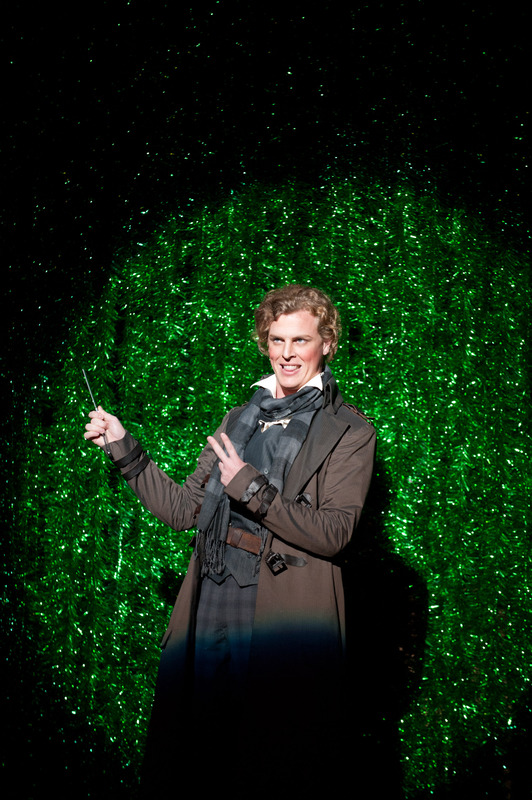 It premiered at the Metropolitan Opera in 2008, under the direction of Philip McDermott and designer Julian Crouch (artistic directors of London’s Improbable theater company). The Met version was considered adventurous, employing improvisational puppetry and aerialists to illuminate this work. The revival. a collaboration with English National Opera, will again feature Richard Croft as Mahatma Gandhi. Satyagraha opens November 4 and runs through December 1, 2011. The following YouTube clip provides a flavor of it. 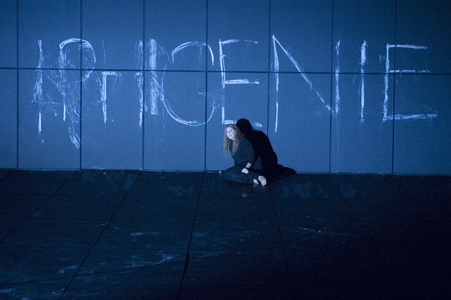 From the same creative team that brought Toronto audiences the Dora Award-winning production of Orfeo ed Euridice comes the COC’s 2011/2012 season opening production of Christoph Willibald Gluck’s Iphigenia in Tauris. Iphigenia marks its company premiere with director Robert Carsen at the helm and featuring Susan Graham, who makes her COC debut in the title role. Leading the COC Orchestra and Chorus is Spanish conductor Pablo Heras-Casado,who conducted last season’s Nixon in China. “This is why we go to the opera,” said the Globe and Mail of the COC’s Orfeo ed Euridice, May 2011. Iphigenia in Tauris was Gluck’s greatest triumph, telling of how the heroine Iphigenia is rescued from imminent death only to confront the tragic twist of fate of being required to kill her long-lost brother. Composed in 1779, Gluck created a score of refined, classical beauty that lays bare the emotional intensity of this Greek tragedy. Carsen’s directorial vision for the COC’s Iphigenia in Tauris takes the ancient Greek myth into a timeless present, with a staging that strips away distraction and highlights the opera’s emotions and music drama. Renowned mezzo-soprano Susan Graham is a leader in the international revival of Gluck’s operas. Recent performances as Iphigenia include Metropolitan Opera, Lyric Opera of Chicago, San Francisco Opera, Royal Opera House Covent Garden and Teatro Real de Madrid, for which her “molten tone and vivid acting” (Financial Times) as well as “nobility and vibrant vocal beauty” (Chicago Tribune), has been praised in performances described as “poignant and majestic” (Opera News) and “riveting” (New York Times). Rising Canadian soprano Katherine Whyte, “a compelling vocal and dramatic presence” (Opera Canada) who has made impressive debuts with English National Opera, Atlanta Opera and l’Opéra national de Bordeaux in recent years, will also debut in the title role, sings Iphigenia on October15. Graham and Whyte are joined by Canadian lyric baritone Russell Braun is Iphigenia’s brother Orestes. Braun is a regular presence at the Metropolitan Opera, l’Opéra national de Paris, Vienna State Opera, Chicago Lyric Opera, LA Opera, La Scala and the Salzburg and Glyndebourne festivals. Returning to the COC in the role of Orestes’ best friend, Pylades, is Met regular and COC Ensemble Studio graduate tenor Joseph Kaiser, who has performed in opera, oratorio and concerts throughout North America and Europe, as well as in film, having starred as Tamino in the Kenneth Branagh film adaptation of The Magic Flute in 2007. In returning to direct Iphigenia in Tauris, Robert Carsen brings with him other members of the Orfeo ed Euridice creative team: set and costume designer Tobias Hoheisel and co-lighting designer Peter Van Praet. Choreography for the 20 dancers in Iphigenia in Tauris is by Philippe Giraudeau, who makes his COC debut. A co-production of Lyric Opera of Chicago, San Francisco Opera and Royal Opera House Covent Garden, Carsen’s Iphigenia in Tauris that has already played to acclaim in Chicago, San Francisco, London and Madrid. Sung in French with English SURTITLES™, Iphigenia in Tauris runs for eight performances at the Four Seasons Centre for the Performing Arts on Sept. 22, 25, 28 and Oct. 1, 4, 7, 12, 15, 2011. Individual tickets go on sale tomorrow. For more information, see the COC website at http://www.coc.ca. 25 Young Artists. 7 Performances. And individual training, training, training galore. The Merola Opera Program is the training and performance program for emerging young artists affiliated with San Francisco Opera. Named for San Francisco Opera’s first general director, Gaetano Merola, Merola Opera began during the 1954-55 season and established its full training program in 1957. Merola has served as a proving ground for hundreds of artists, including Susan Graham, Thomas Hampson, Anna Netrebko, Patricia Racette, Rolando Villazón, Deborah Voigt, and Dolora Zajick. In short, Merola challenges and nurtures the “who’s who” of future opera stars. For me, Merola was the place where the real world started, where I went from general training to specific training. I got to work with Chuck Hudson and Catherine Malfitano in my acting and with my teacher Cesar Ulloa that happened to be in Merola as a master teacher. I also got lots of work from it. They really work on giving you as much exposure as they can. It’s a program about the young artists–they are the principals of the shows–so everyone gets a shot on the spotlight. Last week Merola artists or “Merolini” as they are dubbed presented four performances of Il barbiere di Siviglia. In ten days, Merola concludes its 54th summer program for young artists with a Grand Finale and Reception. By all accounts, this season was very successful. Operatoonity interviewed Sheri Greenawald, Director of the San Francisco Opera, who talked about this year’s program as well as plans for recruiting next year’s Merolini. Sheri, how do young artists find out about Merola? (For instance, the artists from China, South Korea, Inner Mongolia, Venezuela, etc.) We don’t ask singers how they hear about us, so I am guessing a bit when I answer. We generally advertise our audition in Opera News and Classical Singer, and in addition, I would assume singers must know about YapTracker, where we now have our applications. Word of mouth is often the best way to hear about programs and with Merola’s reputation out there, I would be guess this is a big way that young artists hear about Merola. Some singers come to us via recommendation, as well. For example, Peixin Chen, a current Merola bass, was recommended by Francesca Zambello who heard him in China when he sang Zuniga in her production of Carmen in Beixing. Can you tell readers about the annual process of recruiting/selecting a company? Audition announcements go out in August. When the applications come in, we vet them and determine which singers will get an audition. Mark Morash and I personally audition singers in four cities, San Francisco, Houston, Chicago and New York City. At the end of this process, which generally means we hear and interview 400-500 singers, 30-50 pianists, and about 25 stage directors, we make our selection of the group. It is a huge undertaking but it is the best way, and really the only way, to really experience the vast talent out there and make our choices. What sets Merola apart from other young artist programs, i.e., do you have more international artists than others; more success stories, greater numbers? What distinguishes Merola from other summer programs (and I stipulate that we are talking about summer training programs, not permanent Young Artist Programs attached to a particular company) is that the focus is totally on individual training. We may use the singers to provide a small chorus for an opera, but we do our best to limit their involvement to as few a number of rehearsals as possible, so that they can still be having individual coachings every day. My particular focus is to send all the Merolini home in better shape than when they arrived. With the amazing coaches and teachers that we assemble for the summer, that is a fairly easy goal to achieve. We do accept non-US citizens into our program, but I wouldn’t say that is what makes Merola great. It really is about the individual attention that each of them receives. A related question, what in your estimation accounts for the program’s growth from a four-week to a twelve-week program? Merola deserves its reputation as one of the world’s most important training programs, not only because of the level of artistic offering but also because of the dedicated and smart board leadership. Merola has grown steadily throughout its 54 year history – in 1958, the program went from 4 weeks to 6 weeks, another bump to seven came in 1962 and as the program entered its second decade, the program expanded to 10 weeks and now, at the age of 54, we are at 11 weeks. We’ve also always been on the lookout for new opportunities to offer, so the program now includes language, stage movement, career coaching, etc. We have evolved with the ages, but as you know, slow and steady wins the race and Merola has always been conservative financially and ambitious artistically. Where do Merola artists go after completing the program? The path for young singers is as varied as the voices of young singers. Merola is known as the gateway to San Francisco Opera’s Adler Fellowship Program, so some of the Merolini do go on to this program. Others who participate in Merola are already committed to the year-round young artist programs at other major companies. Some of them go back to school for further study, and some of them go directly into the world with professional contracts at companies. 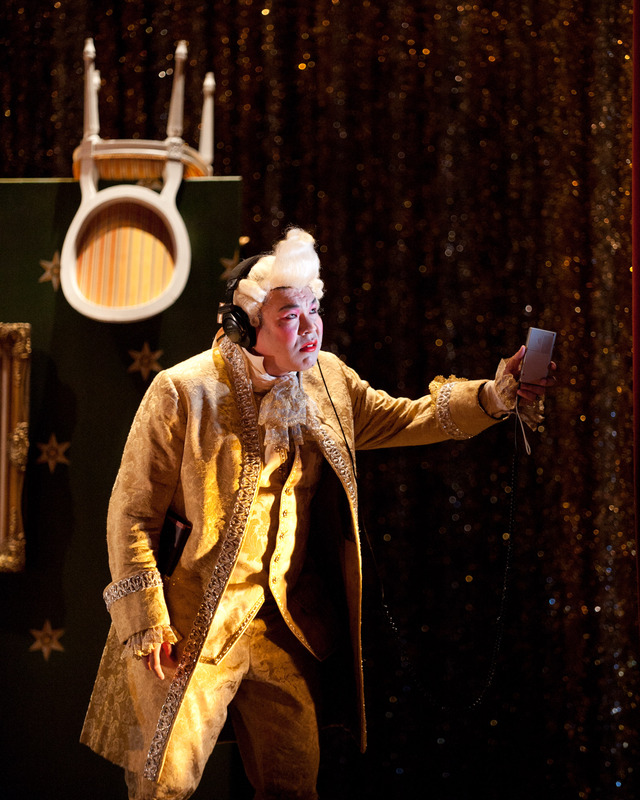 Opera is a complex field and successful artists take different paths towards that success. Can you tell me more about the Merola event that took place on June 25 of this year? Who auditioned for what and who had the privilege of sitting in? The General Director’s Auditions are basically for David Gockley, perhaps also Nicola Luisotti, and also the San Francisco Opera’s artistic staff. This is the first time David Gockley hears them, however they are not auditioning for anything in particular. It is the start of his impression of them as singers and artists. And since Mr. Gockley is the head of the committee that selects the Adler Fellows, I suppose one could argue that this is the first step toward gaining an Adler Fellowship. For this event, Merola has a select group of patrons who are invited and so the event has a different feel than a normal audition. It’s a nerve wracking time for the singers, but the invited audience learns a lot about a singer’s journey and the artistic staff gets a chance to hear all the Merolini on one night. Has technology impacted your outreach to artists and/or patrons and audiences? From the perspective of our artistic process, the broad reach of Internet has enabled us to expand our reach to singers. Certainly being able to do applications online has sped up that process. Merola’s excellent marketing team is very savvy at social media. The company has an excellent website, an active Facebook page, and are experienced users of Twitter. Our young singers keep us current with all the tools of social media, and they are excellent partners to the Merola organization going forward. What preparations have already begun for next year’s company? In the midst of this season, we do have to think about next year. We are already preparing our audition materials to be sent to schools and institutions, and we have already selected audition dates and have our audition venues all lined up. We hit the audition trail in October, once the applications will have been vetted, beginning in September. Anything you’d like to add? Merola is possible not only because of the work that we do at the Opera Center, but also because of their extremely dedicated membership. With more than 800 individual members, many of whom are fanatic opera lovers, Merola is able to tap into the community for funding, audience participation, and support. Merola members contribute financially, but also get very involved – sponsoring the singers, housing the singers, hosting post-event parties, bringing lunch for singers at break time, etc. There are many famous singers whose Merola sponsors still attend performances around the world and stay in close touch. It is truly a unique program — wonderful for both the singers and the audiences. There’s lots more information and photos at the Merola Opera website. Visit http://merola.org. 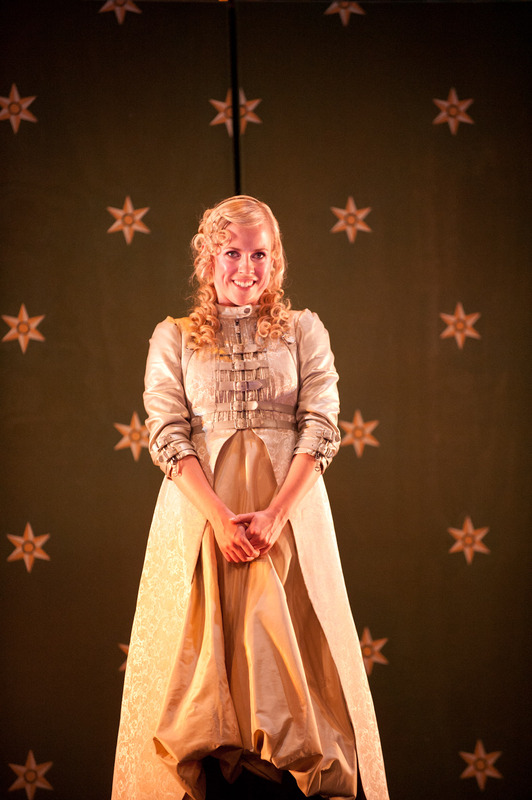 You can also follow them on Twitter @merolaopera and like them on their nifty Facebook page. Fifty is an important measurement in the United States. It’s a big honkin’ deal to turn fifty years old or to have been married fifty years. The fact that 50,000 unique visitors stopped by this blog is a reason to strike up the harpsichord. Break out the baroque. Give away some prizes! When I started this blog in February of 2010, I never imagined so many people would eventually visit a blog about opera. I hoped readers would stop by but had no expectations of hundreds of visitors daily. That’s why I’m celebrating today! 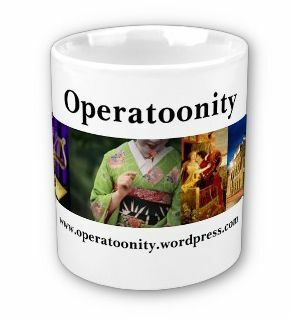 I’ll be giving out prizes–Operatoonity mugs and mousepads, which feature my new URL: http://www.operatoonity.com–which I’ll be moving to at the end of the month. One lucky visitor will even win his or her own profile on this blog. To be eligible to win a prize or profile, just leave a comment on this blog today, August 2, 2011, the day that I’ll hit 50K visits. And thank you for visiting “Operatoonity.” I hope you found what you were looking for. I’m absolutely tickled you stopped by and hope you’ll stop back soon. Don’t forget to leave a comment. Since the editorial focus moves to modern opera this month, I’d welcome a comment about your experience with modern opera, viewing or performing. You can also suggest modern operas you value, whether you appreciate it as much as classic opera or anything you care to comment on.